Urban Arts Inc is a registered not-for-profit organization in New York State . This community organization was started by RAWA (Renaissance Artists and Writers Association) artists who live in Albany New York . The organization is dedicated to bring the arts to under reached communities. Currently the organization is staffed by volunteers that coordinate arts programs in community centers located within the Albany area. Although the programs will be focused around children, teens and young adults, there will be programs that are offered to the community at large. The programs will be held in low income areas of the city and are free. Studies have shown that exposure to the arts can make a very lasting and positive impact in the lives of our communities. These studies especially show how the arts can make a difference in the lives of our youth. Children who are exposed to the arts are better equipped for facing the challenges of life. 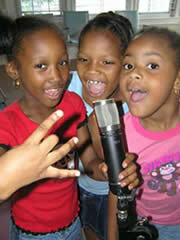 Whether they are academic problems, social problems or family problems, the arts have been shown to improve one’s ability to effectively deal with such challenges.Currently Urban Arts has three programs in the developing stages; A Hip-Hop Music Production program, a Yoga program and a Fine Arts program. 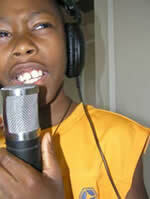 The Hip-Hop program began operating within a local youth outreach center in late August 2006. In this program, which hosts teens and young adults, the participants are able to express themselves through the creation of hip-hop using professional quality digital music equipment. The Yoga program has a certified Ananda Marga yoga teacher who will be teaching free yoga classes to local youth once a suitable venue is found. The Fine Arts program will begin once adequate funding is raised. I will be running the hip hop program. Dinali Abeysekera, who is a certified Ananda Marga yoga teacher as recognized by Yoga Alliance, will be teaching the yoga classes. As for the number of kids we hope to reach with these three projects, each project will probably get about 5-10 participants a week and will be located in centers where the total population of the youth is around 30-40. We hope that each program gets at least 10-15 kids within these centers to participate over the fall and early winter months. So as an estimate I’d say at least 50 children will have been through our programming by the end of the year. The organization has already gained much support from the local community. There are five local organizations that are giving their support to this newly formed project. By the end of 2006 the organization hopes to have four projects up and running with plans of hiring a paid professional staff.